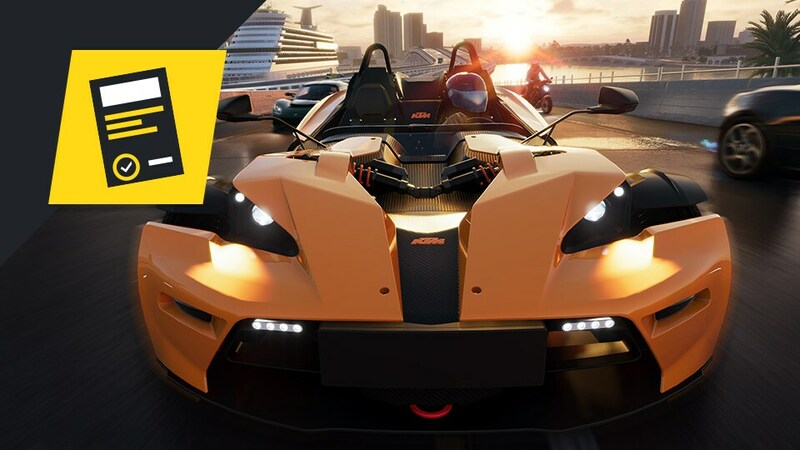 A few weeks ago, we had the great pleasure to announce our post launch plans for The Crew 2 with the ambition to continue to improve the experience and surprise players in the long run through our 3 pillars: Polish, Densification, and Novelty. A first patch will be deployed as soon as tomorrow, Wednesday July 25th at 10am Paris time (4am EDT) on all platforms. A short maintenance will also take place at the same time in order to improve server stability. Estimated downtime: 60 minutes. This patch will be automatically downloaded on all platforms and will be mandatory to start the game. Various fixes, balancing & stability improvements. See below for more information. As a reminder, you can find the list of Known Issues on our forums. [Fixed] Inaccurate livery preview images in "Top 100" and "Latest" categories. [Fixed] Xbox One - The title does not display any messaging when attempting to SHARE a game clip to YouTube while the 'You can share outside of Xbox Live' privilege is set to 'Block'. [Fixed] Traffic issues when free-driving with friends over bridges. [Fixed] Entering / leaving pause menu is “banking” dynamic freestyle followers even if the max cap is reached. [Fixed] Players can gain very high amount of points while playing scoring events in coop. [Fixed] Players are unable to set a Favorite when a Rewards Program vehicle is showed in the House. [Fixed] Time of day gets offset in certain circumstances while playing in coop. [Balancing] Increased fame needed per iconic level. Dev Note: Increased fame needed per iconic level, only applicable to levels above 1000. [Fixed] Players reported an error 3_db2db69_261 when trying to redeem Icon rewards. [Fixed] Players reported an error 3_db2db69_77 when trying to redeem reward with a full inventory. [Fixed] Players are unable to play with processors with latest instruction set being SSE4. [Fixed] Some players with old-gen CPUs are reporting crashes on specific vehicle engines audio rending. [Fixed] Rare crash report when frame-rate is extremely low. [Fixed] Rare crash report when interacting with a dynamic element on the map. And other stability improvement fixes. [Fixed] Reward Program's pop-up is prompting even after unlocking all entitled vehicles. [Fixed] Xbox One - The title is displaying in-game invites even if the "Others can communicate with Voice, Text, or Invites" privilege is set to Block. [Fixed] Missing in-game notification for newly received content from special event & customer support agents. [Fixed] Time spent in suspended mode is added to Player total gameplay time. For more information on The Crew, check our official website. Join the The Crew community on the forums and Reddit, and be sure to follow us on Twitch to never miss a livestream. All videos highlighted by our in-game sharing tool are viewable on the official The Crew 2 - Community Videos channel.